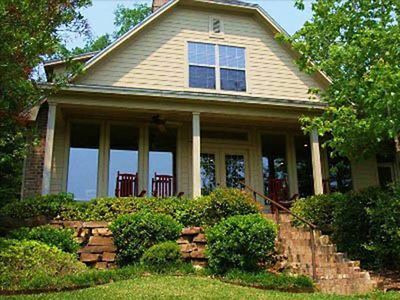 If you are looking for a GREAT place to get away from it all in a gorgeous home, tastefully decorated in western decor, look no further. 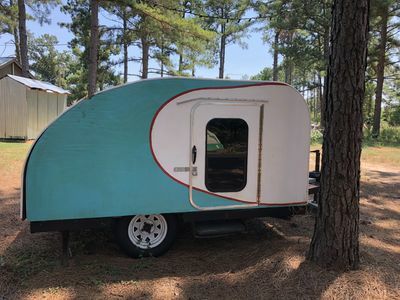 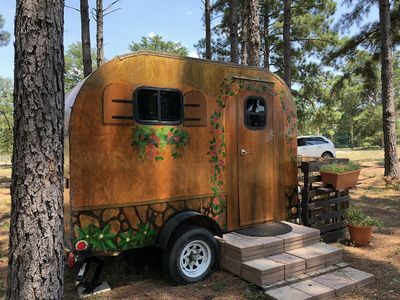 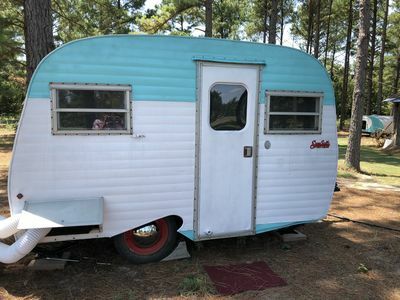 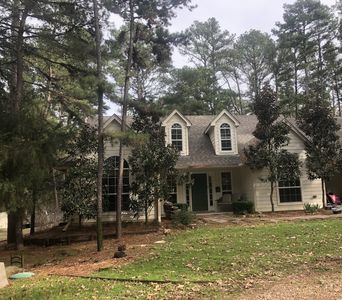 The Texas House has everything you need; the well-appointed master bedroom which steps out onto the patio, has its own private bath with a jetted-tub and spacious shower. 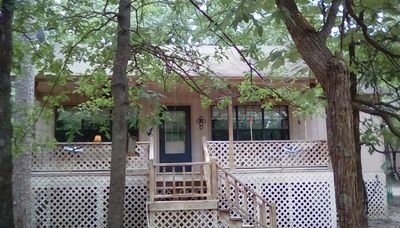 Bedrooms 2 and 3 both have queen-size beds and attached baths - TVs in all 3 rooms. 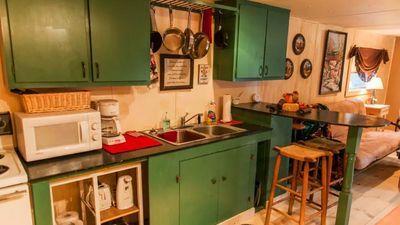 The living area is great for gathering, and the adjacent sun room provides another place to play games, read or just relax. 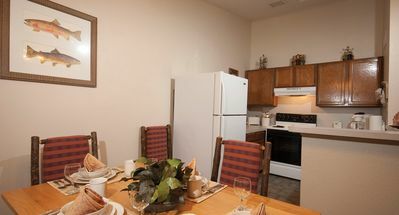 The huge fully-furnished kitchen has everything you need to prepare a feast for your hungry crew. 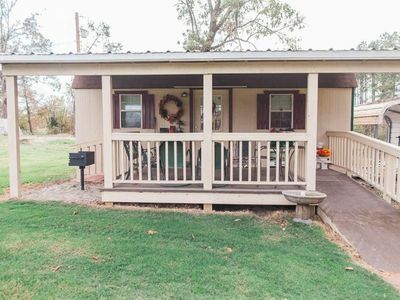 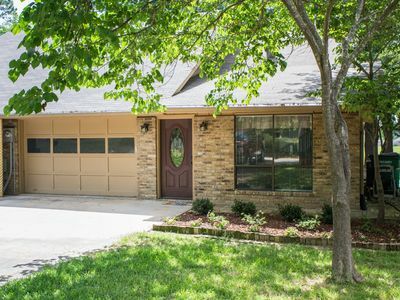 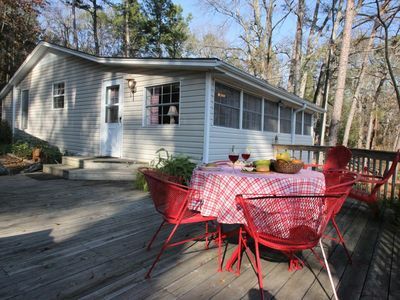 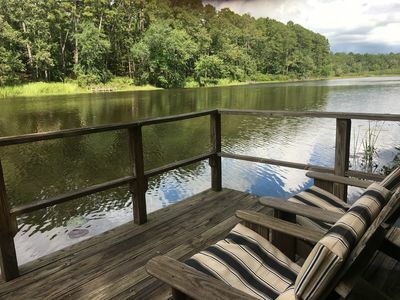 This wonderful home is located on Holly Lake Ranch, one of East Texas' premier resorts. 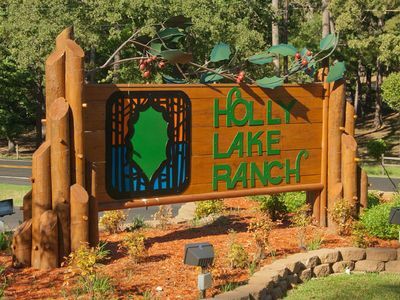 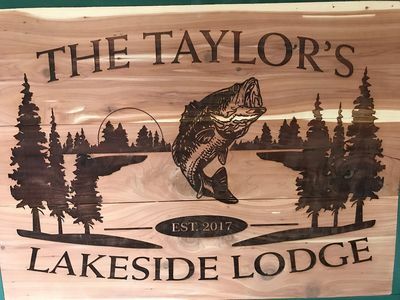 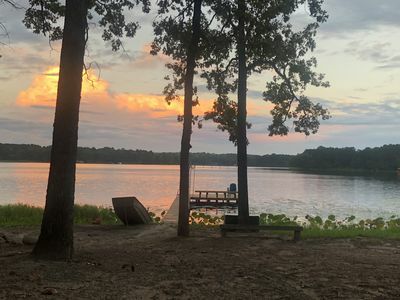 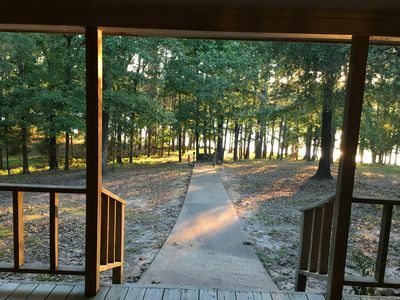 With an 18-hole golf course, mini-golf, shuffleboard, basketball, tennis, archery, 2 swimming pools, 2 private lakes for fishing, swimming and boating, plus tons of activities for the entire family - Holly Lake Ranch provides hours of activities for all ages. 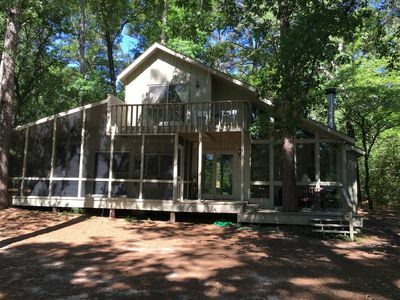 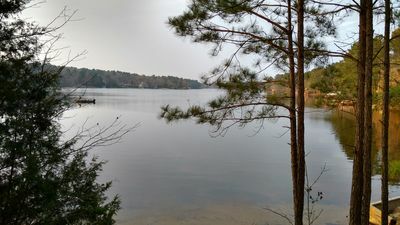 Cottage II - Get Away From It All and Go Jump In the Lake! 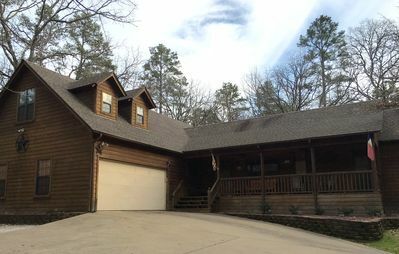 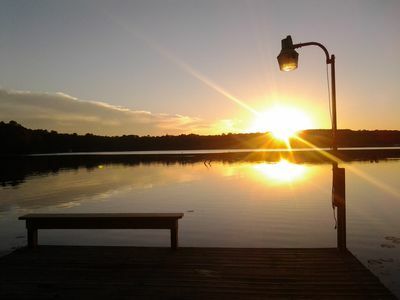 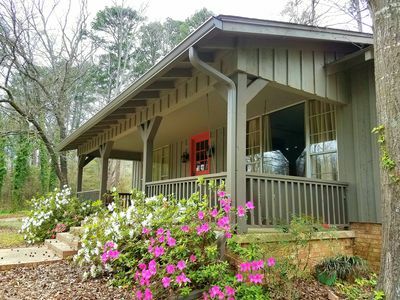 Cozy Lakefront Family Friendly Home With Large Covered Porch And Private Dock.